Exciting news: We just launched Grapeshare, new social network that lets you share the wine you love with friends. At Cloudmanic, we like wine. For years, the team has talked about wine, discovering new wine, keeping track of wines we have enjoyed, and how there needed to be a better way to share wine with friends. We looked at different wine apps, but there was no elegant tool for what they wanted. We wanted something easier and beautiful. And something that we could use to not only track wines, but discover new ones. Discover people who are like us and like the grapes we like. So naturally, we decided to take matters into their own hands. The result is Grapeshare, a new social network for oenophiles that lets you share the wine you love with friends. You can record and rate wines, upload label photos, make connections and get recommendations. If this venture seems a bit different from our other work, it is – and it isn’t. See, Cloudmanic Labs believes in the power of creativity. Every week, we take a little time off from our regular projects to work on other things—or to just brainstorm about what the world needs. At the very least, we have stimulating conversations. Grapeshare is one of those “other” projects. Like all of the things we do, Grapeshare was sparked by passion, and it continues to be fueled by hard work. It’s great to be able to share that passion with the rest of the world. 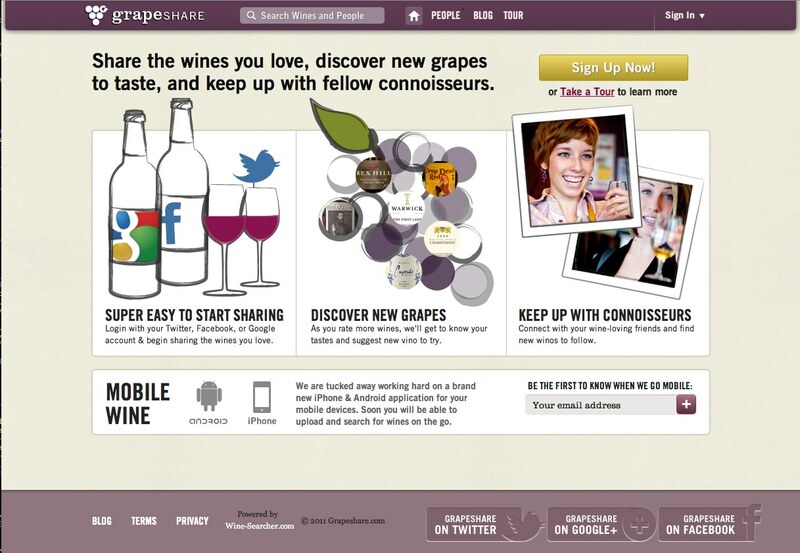 To get started with Grapeshare, go to the website and sign up with your Twitter, Facebook, or Google account. You can also follow us on Twitter (@grapeshare) and like us on Facebook. Check out our blog for wine tips and stories, and to keep updated on new features.